The film is a labour of love for co-screenwriter Ahmad Izham Omar, who based the story on his grandparents' great but tragic love story. Beautiful, profound, and heartbreaking. 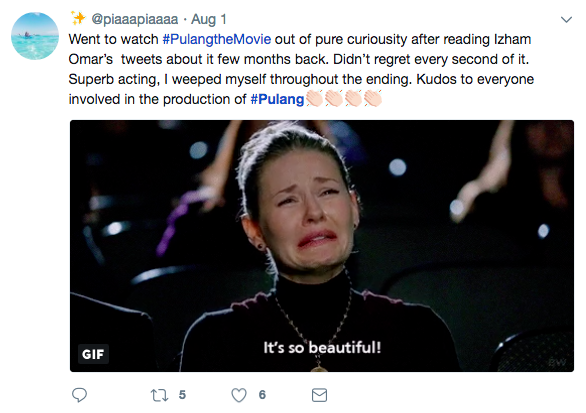 Those were the words used to describe Pulang, the epic love story that has unexpectedly emerged as a shining example of how great Malaysian films have the potential to be. 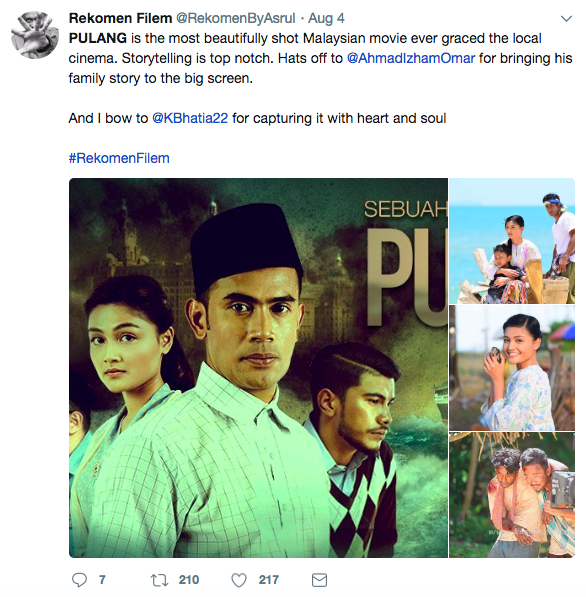 Having raked in RM1 million in the box office within the week of its release, Primeworks Studios CEO Ahmad Izham Omar - who also co-wrote the screenplay - revealed that reception for the movie on its second week was already better than the first. The movie also opened in Brunei, with plans to expand to more international screens in the near future. 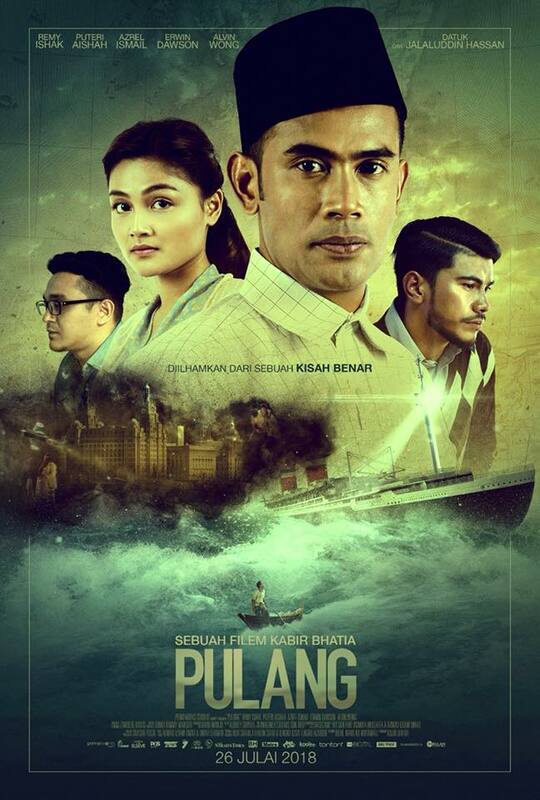 Pulang will also be competing at the Asia Pacific Screen Awards (APSA) in Brisbane, Australia. 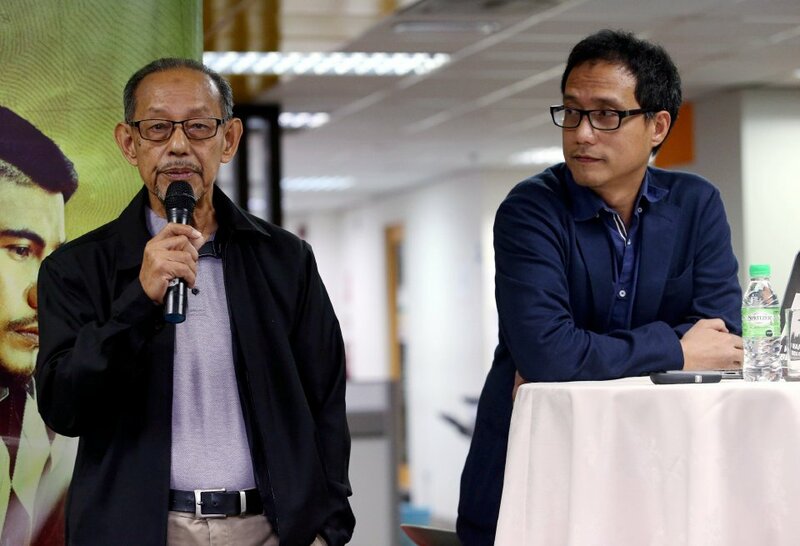 Primeworks Studios CEO Ahmad Izham Omar (right) and his father Omar Othman (left). To be exact, it was about his grandfather Othman, a seaman who left his wife and son to sail around the world in search for a better future for his family. The movie stars Remy Ishak as Othman, Puteri Aishah, Erwin Dawson, Azrel Ismail, Datuk Jalaluddin Hassan, and Alvin Wong. Have you seen the movie? Let us know what you think of it in the comments section! Wayang kulit gets a modern pop culture spin in this National Day-inspired video project. Cosplayers, collectibles we can't afford, and breathing the same air as celebrities... we miss it already! Relive the nation-changing event all over again.